If you were to conduct a survey in which you asked several hundred people why they visited a dentist, there’s a good chance that the overwhelming response would be “because I had dental problems and needed treatment”. But in actual fact that is by no means the real reason why most people visit their dentist. The true answer, as we can vouch from our many years of experience as the premier dental care Manchester specialist … is preventative dentistry. What this means is that the majority of patients come in for regular dental check-ups and hygiene treatment for the simple reason that this will help to prevent more serious dental problems at a later date (discounting accidents of course) and it will therefore mean that there is far less likelihood of major dental treatment being required. 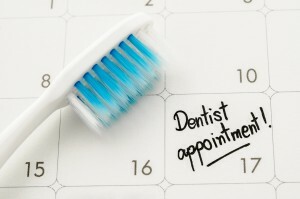 A twice-yearly visit to our hygienists is the first step to preventative dentistry. Every member of our hygienist team is highly qualified and they can check the condition of your teeth and gums to ensure that there are no potential problems. 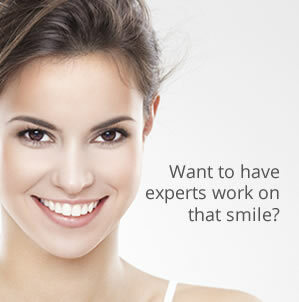 They can also help you by scaling and polishing your teeth to keep them in tip-top condition. In addition though, they will provide a thorough oral hygiene examination that also covers your gums and tongue and they will always be happy to offer advice on brushing, flossing and tongue cleaning to help you keep your mouth clean and healthy and free from gum disease, which is a prime cause of serious dental problems. By seeing your dentist for twice-yearly examinations it enables us to monitor the general condition of your teeth. Regular examinations and x-rays also allow us to identify any early signs of tooth decay and then to take the minor steps needed to prevent it becoming a big problem that could require major dental treatment at a later date. As dental care Manchester specialists we always advise our patients to have regular examinations and more often than not, by keeping an eye on things, we ensure that they rarely require serious treatment in the future. Regular examinations are especially important for children, whose teeth are still developing and who can sometimes be more at risk, especially if they eat sweets and have fizzy, sugary drinks. We’ll always watch over them to ensure that there are no other problems such as overcrowding and misalignment that could cause problems later in life. If necessary we can always refer them to our Orthodontics Manchester team and remember, it is never too early to introduce your child to their dentist so that they get to trust and feel comfortable with them. Preventative dentistry examinations can also provide other, less obvious benefits. As part of our routine dental examinations we always carry out mouth cancer screening to check for early signs of the disease and the earlier anything untoward is spotted the better. Even bad breath is something we can help with, because the major cause of bad breath is usually tooth decay and gum disease. If we prevent that, then we also prevent the embarrassment of bad breath. If you don’t already attend regular dental examinations then why not give us a call today on 0161 951 7295 or go to our Contact page and make an appointment by booking online. Never forget … prevention is better than cure!